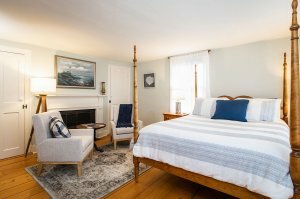 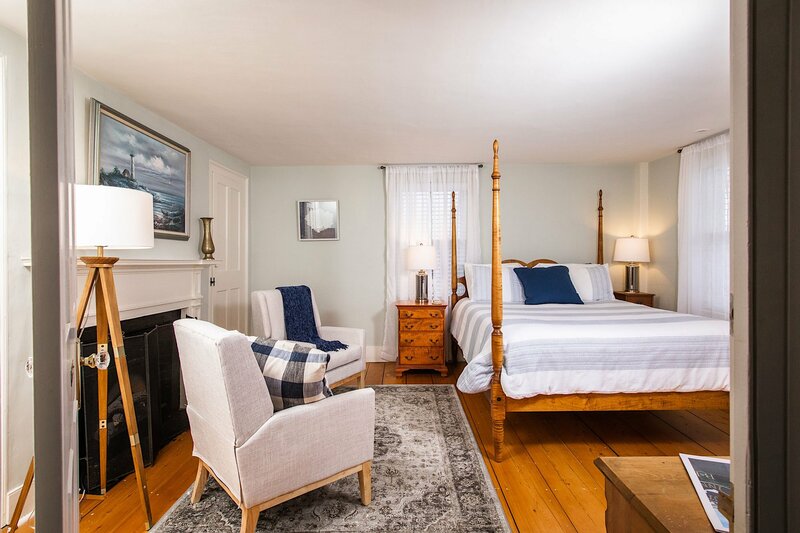 The bay view is prominent in this second-floor room of the original home, with a comfortable conversation area. 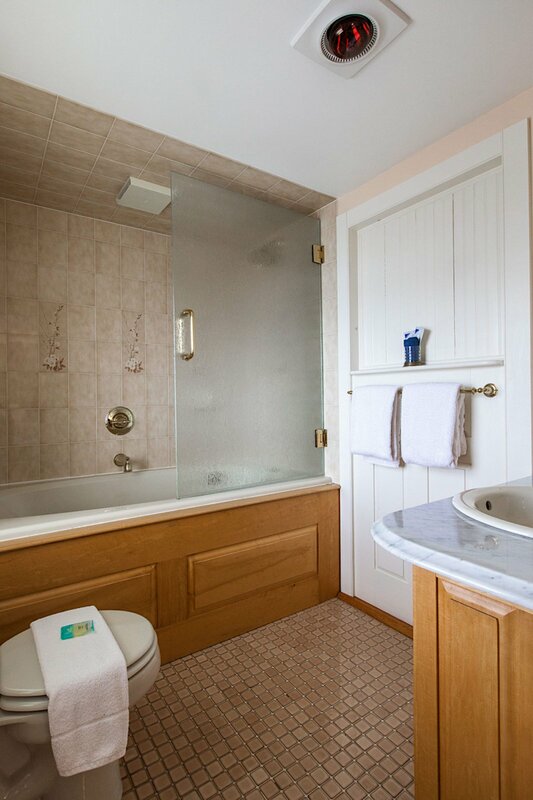 Additionally, overlooking the north garden makes this a bright and cheerful room, as the morning sun also warms the private bath, that includes a Jacuzzi tub. 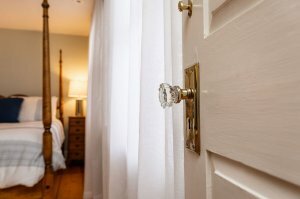 Furnished with Bird’s Eye Maple woodwork and a Tiger Maple queen-size, four-poster bed, this spacious room affords a wonderful choice for long stays or relaxing downtime to rejuvenate oneself. Named for the Harbormaster, who is responsible for overseeing and enforcing proper boating use and navigation of harbors, marinas, and immediate waterways entering and leaving the harbors.